Zhao Kuangyin, founder of the Song (Sung) dynasty (960–1289), is better known by his posthumous title Song Taizu (T’ai-tsu), which means “Grand Progenitor of the Song.” China was plunged into half a century of turmoil after the fall of the Tang (T’ang) dynasty in 909. From 909 to 960 five ephemeral dynasties contended for power in North China while 10 regional kingdoms struggled with one another in the south. 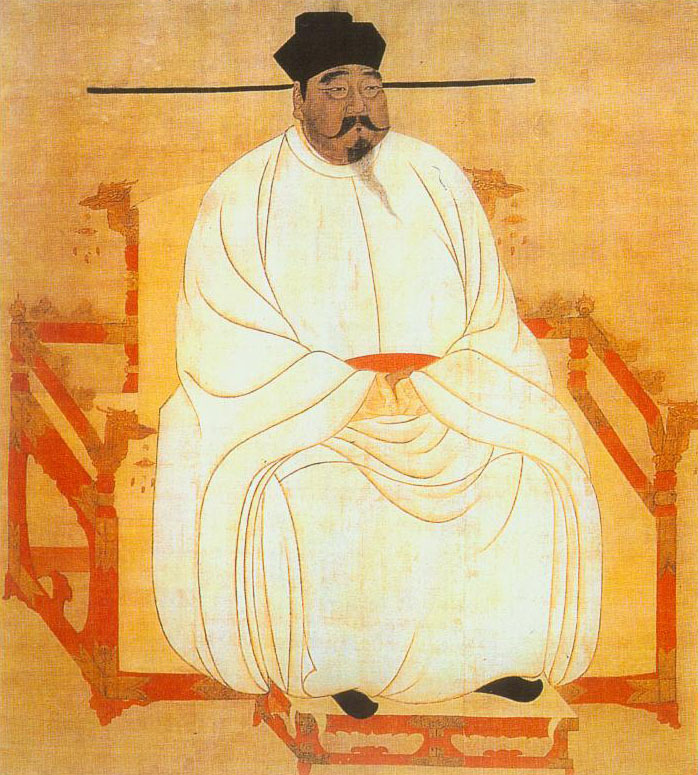 The last of the five dynasties was called the Later Zhou (Chou); it only lasted for 10 years (951–960) because when the founder died, he left the throne to his young son under the boy’s mother as regent. When a nomadic people called Khitan invaded, she ordered General Zhao Kuangyin commander of troops to battle against them. After one day on the march the troops mutinied and demanded that Zhao become emperor. 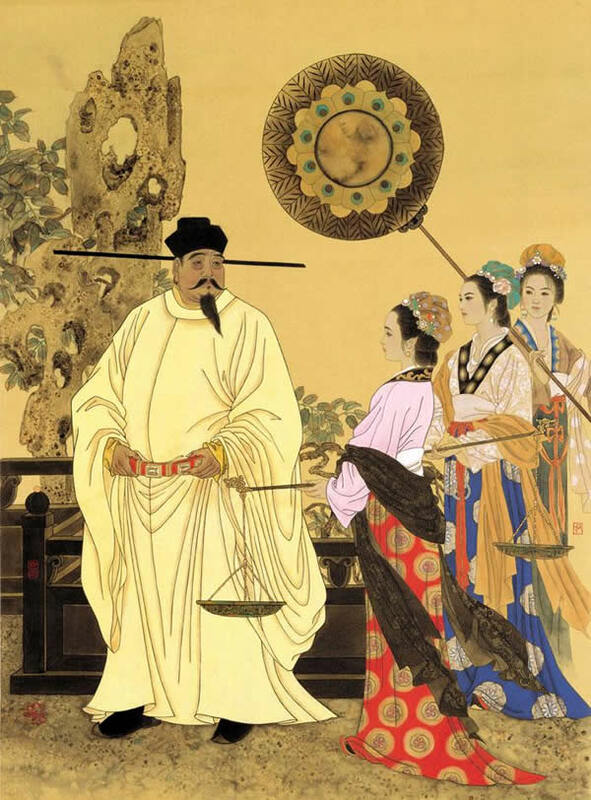 He agreed on condition that they did not harm the Later Zhou royal family, then they marched back to the capital city Kaifeng (K’ai-feng) and Zhao was proclaimed emperor of the Song dynasty. Taizu was a military commander and understood that he owed his throne to his officers, who could just as easily unseat him. He also understood that he needed the army to reunify China because parts of the north and the entire south were not under his control. He took care of his dual problem immediately in the following way. He held a banquet for his top officers and, after much drinking, persuaded them to hand over their commands in return for retirement on generous pensions. After securing their agreement he allowed them to build lavish mansions in the capital (where they were under surveillance) and ensured their continued allegiance by intermarriages among their respective families. He promoted loyal junior officers to command, rotated units to secure imperial control, and proceeded to reunify China with relatively little bloodshed. Taizu’s mother was a wise woman. She feared overthrow of the new Song dynasty should Taizu (who was only 32 when he became emperor) die and be followed by a young and inexperienced son, as had happened to the Later Zhou. Therefore she made her family agree to her plans on the succession on her deathbed in 961—that Taizu would be succeeded by his younger brother, who was also an experienced general. By the time the younger brother, who ruled as Taizong (T’ang-tsung), died in 997, the Song dynasty was well established. The brothers were able administrators who worked to centralize the administration and to establish civilian control over the military. They expanded the examination system and recruited civil officials down to the county level from those who had passed the exams, which were based on the Confucian Classics. Taizu was content not to attempt the reconquest of northeastern and northwestern China, which had been under the Tang empire, but were then ruled by nomad states. The institutions and the tone of government set by the Taizu would endure through the Song dynasty.